This is Alf. I probably should complete him. 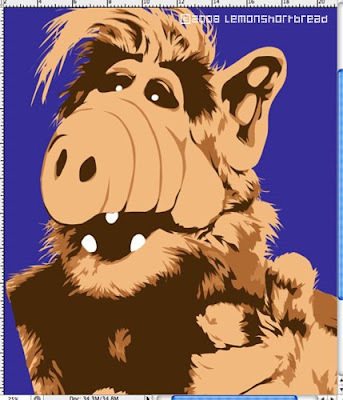 He was meant for a t-shirt for myself because I like Alf. He brings back nostalgia and his nose reminds me of bagels and croissant. His teeth are mentos hehe. I made this in Illustrator middle last year but never completed it... he took a long time to vector till that stage. Can't remember when was the last time I opened the program though! Digital art makes me tired and I have a bunch of artworks still work-in-progress since a year ago... After uploading my beads to my supplies shop I shall work on something.